DOTA 2 is a very competitive game and the fight to the top is a strenuous process visible in every corner of the game. Every match makes us better and increases our knowledge. But there is always something more to learn, something more to achieve. The medal system in DOTA 2 which was recently introduced is kind of a market for our gameplay knowledge. It is a clear indicator of how much we have learned and how good we are at the game. Thus, it is evident that there is a never-ending struggle to earn a better medal in the community, to either flash it at your friends or to brag about it in social media. But considering the competition, it is extremely difficult to rise higher without falling. Ranked matches in DOTA 2 are the key for levelling-up the medal or even be promoted to a different bracket. Hence, they are an almost unignorable odd. Winning in ranked matches has thus become a priority nowadays and marks the growth of a player’s efficiency. Likewise, the medal awarded to individuals determine their skill category. But the fact is, winning is not as easy as it seems. It is a struggle even for high-bracket players. Many factors affect a ranked game starting from how we play to how reliable our teammates are to how challenging the opponents could get. But there is another factor that many low-bracket players seem to take no heed of. It goes by the term, ‘drafting’. A proper draft is a potential game-changer. However, it must be noted that a good draft doesn’t necessarily ensure a victory but it surely creates an advantage early on. So, in general, our discussion in this article will solely revolve around the topic of how to make a good draft. We will start from the ground up, and while we’re discussing at length, we will essentially go over five scenarios that I’ve personally drawn up during my spare time and split into tiny segments to firmly establish and solidify the concept of the drafting system and how it affects gameplay standard into your minds. Core picks are common in ranked games and since they are very effective and enjoyable in a late game, the pick rates are insanely high. So, our first subject of discussion will centre around the concerns of how to deal with a team going for a draft made up mostly of core heroes. It is wise to pick support in a situation where the team is entirely a core instead of picking another core. A support in a team adds a lot of versatility and ensures that there is enough impact in the early and mid game. It is always a good decision to pick heroes who can help in mana management if there are too many spell-based carries in the team. Dragon Knight and Juggernaut are the exemplars of two heroes who can deal very good nuke damage early on but lack the mana to do so all the same. So, the role of support preferably shifts to heroes like Crystal Maiden and Keeper of the Light in situations like these. If a team has powerful AD(Attack Damage) carries but lacks heroes with stuns and disables then supports like Shadow Shaman and Lion come handy. For weaker carries who need protection and babysitting to survive and sustain against stronger lane matchups, healers like Dazzle and Omniknight or Winter Wyvern are good picks. The second scenario is when your team is going for a semi-balanced draft, but you feel that your cores lack enough power to sustain stronger lane matchups. This is the perfect zone for roamer-supports. Like hard supports, roamers have distinctions too. If you think your team lacks kill potential, it is better to pick heroes who can roam effectively and create a good opening for ganks. Heroes like Mirana, Tusk and Earth Spirit work really well here since they have high mobility and strong nukes. In case there are multiple heroes who need stuns and buffs to gank and farm effectively heroes like Ogre Magi is the go-to option. 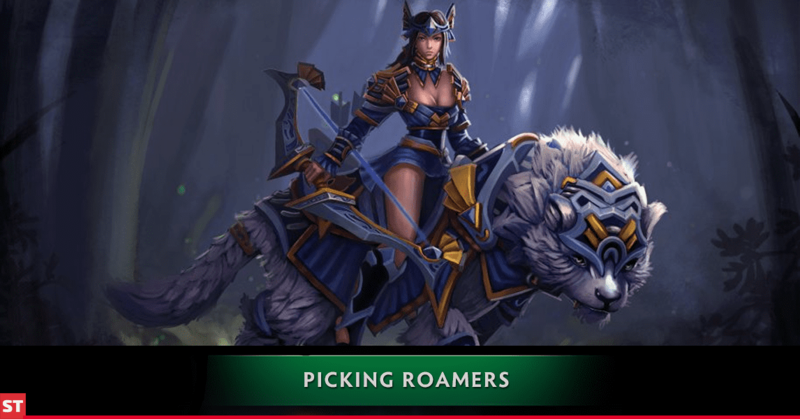 Roamers can also include heroes who can position themselves well and can offer assistance in fights, like Slardar and Dark Seer. The third scenario is when your team has a balanced draft but most heroes lack resistance to enemy AD types, be it physical or magical, to sustain in fights over longer durations. This is where the presence of a ‘tank’ comes into play. Tank heroes may vary depending on situations but overall they are pretty much the same, i.e, they have very high hit-points and have high resistance to damage. This can either be distributed by the fashion of passive abilities or abilities that can be triggered. Tank picks are immensely effective against illusion heroes. 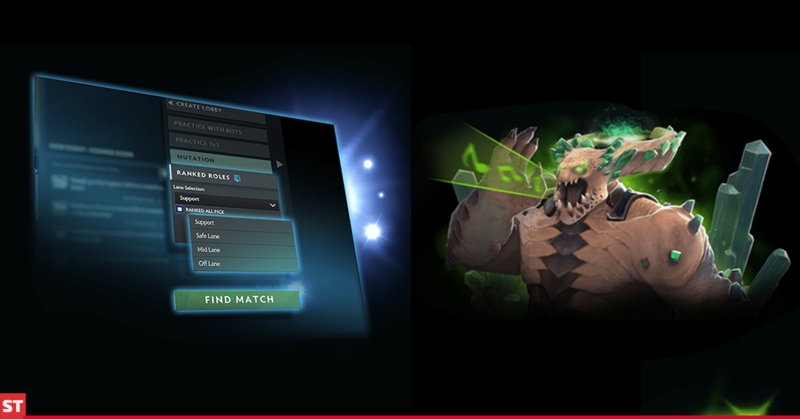 Some examples of physical nuke heroes are Axe and Centaur Warrunner. Bristleback is a very balanced tank hero who can take on pretty much everything when his back is turned towards the enemy. Although, he is a bit weak against physical nukes from heroes like Sven when his ultimate is activated. Considering how his passive works, he still does a decent job. There are also tanks who are good at tanking magic damage in fights. 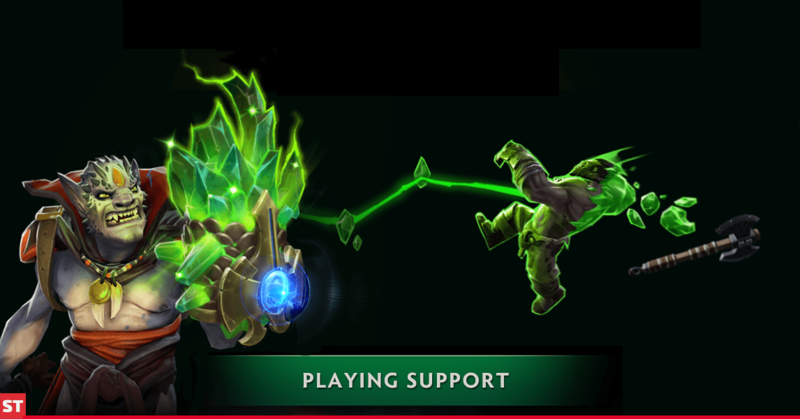 Pudge is a very good example of a hero who gains magic resistance points from his passive but needs a lot of kills to be anywhere near helpful in the late game. Off to the fourth point where the team lacks a mid-laner. There is nothing much to say about mid lane heroes, partly because they tend to vary greatly on the composition of the enemy team and what the enemy mid hero is. It is highly recommended that instead of first-picking Invoker to flaunt the skills you never had or show how big of a professional you are, you should instead wait for the enemy to pick first. That being said, there must be no attempts made to rush the draft. Thus knowing proper matchups is a prerequisite necessity while picking a mid-laner. In the worst case scenario when you don’t know the enemy mid pick but are forced to a pick mid lane hero yourself, my advice is to pick strong meta heroes like Shadow Fiend, Death Prophet, Tinker and Invoker(again don’t first-pick these heroes like a kid since it is not advisable to first pick the most impactful role in the game and letting your enemies counterpick it. Instead, wait a couple of seconds and if your enemy is hesitating, encourage your support to make the first pick). Reading the enemy’s mind is as much a requirement as possessing material knowledge about drafting. Coming to our last scenario, the fifth one is when you have a nicely built team but lack a core. Cores have their own line of category and each one of them have their own pros and cons. First things first, cores have a huge impact later in the game. Hence, I always recommend picking something which is in the meta because it is a deciding factor of how well your hero is going to perform later on. There are many choices to select from when picking a meta core. When the enemy team have certain big mana pool heroes, heroes like Anti-Mage who can tank magic damage and can effectively burn the opponent’s mana to shut them down is a desirable choice. If your team lacks team-fight potential, heroes like Faceless Void and Kunkka with huge disables and a ton of damage output synchronize really well. On the other hand, if you are looking for 1 v 1 pick-offs over the map swiftly, heroes like Ursa, Legion Commander and Spectre work really well. The lack of push potential can be overcome if heroes like Terrorblade and Wraith King are present. The conclusion is simple. You need to adjust yourself to the needs of your team. Spamming isn’t bad if you are particularly a good performer with a certain hero. But then again, we are talking about a general draft guide so I have kept that aside from our discussion today. In any case, I hope this guide helps you on your journey to mastering the game and get a decent badge. Happy MMR Hunting!